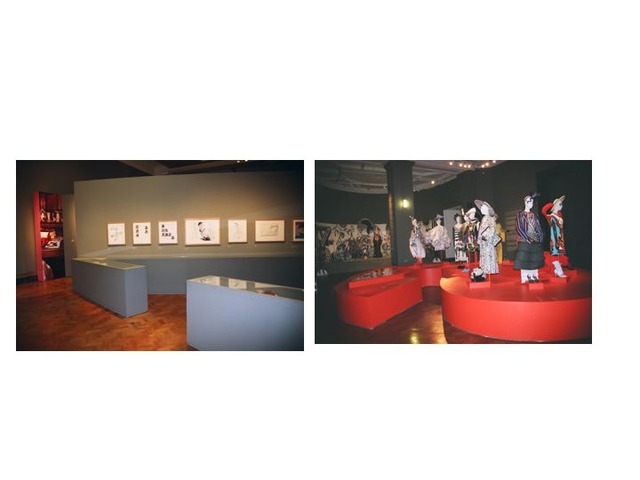 The exhibition examined the work and private collection of Italian editor, stylist and fashion designers’ muse, Anna Piaggi. 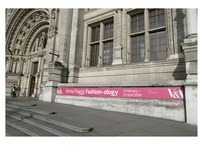 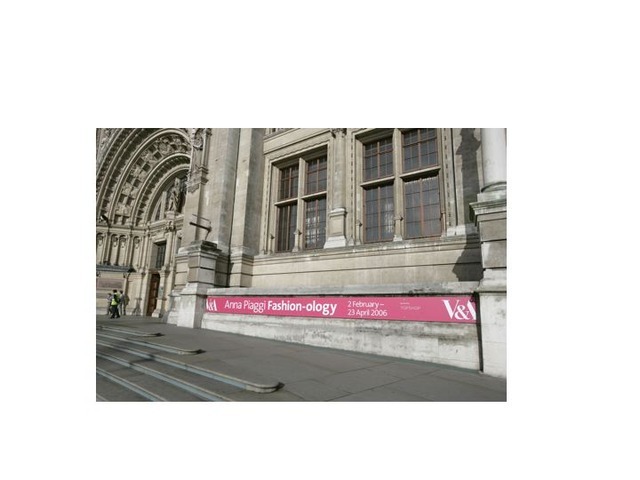 It was the first to look at any fashion editors work at the V&A. 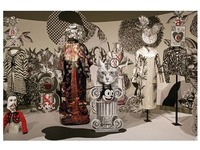 It examined styling and reporting as ‘attitude’, deriving methods from her notion of ‘intuition’. 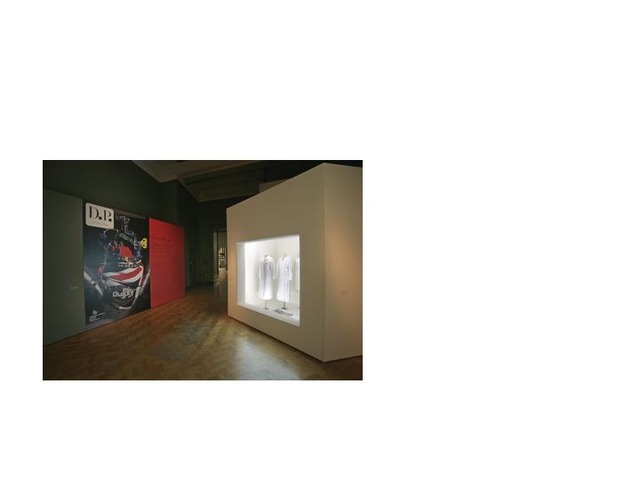 The exhibition commissioned some text and visuals from within the fashion industry, therefore juxtaposing a museological /didactic agenda with that of the fashion industry’s flair for description. 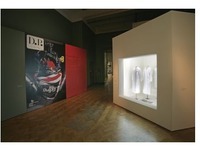 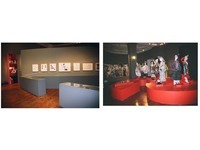 The exhibition was about the re-description of objects explicitly through styling and verbal description. 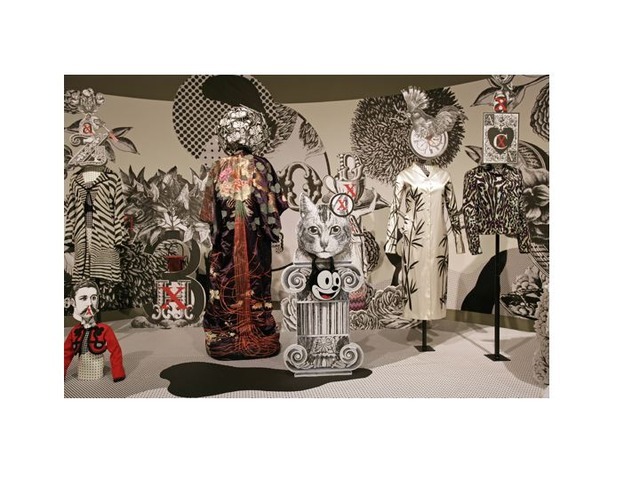 Word play was emphasized by two commissions: one by Luca Stoppini (designer of Italian Vogue), who created a 4 metre ‘double page spread’ a graphic composition made up of Piaggi’s famous trend naming titles for Vogue; and fashion illustrator Richard Gray who created a three – dimensional Rebus, itself creating a habitat for Piaggi’s dress collection. 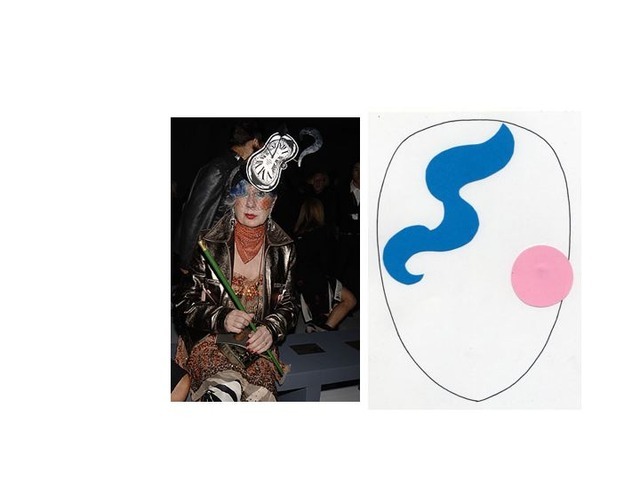 The section ‘Morpho-illogical’ literally built what her attitude might be to an archive: the object more important due to its participation in word-play than its provenance, material value, etc. 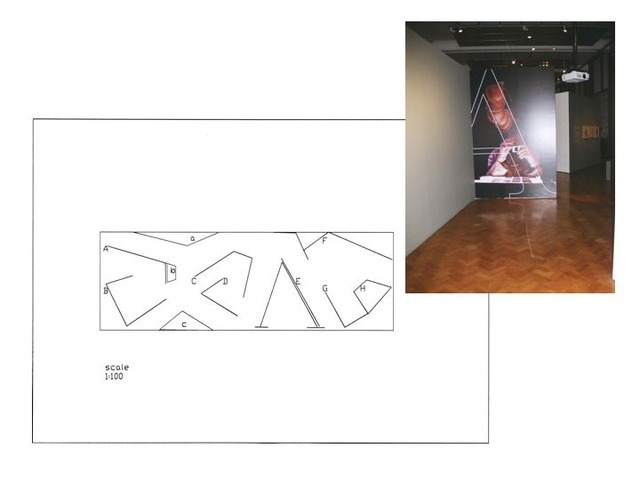 Her interest in typography was incorporated into the design of the installation which was based on intersecting A’s and V’s – Anna, Vogue, Vanity, Vern, Anachronism exploring the importance of exhibition design in conveying a conceptual point. 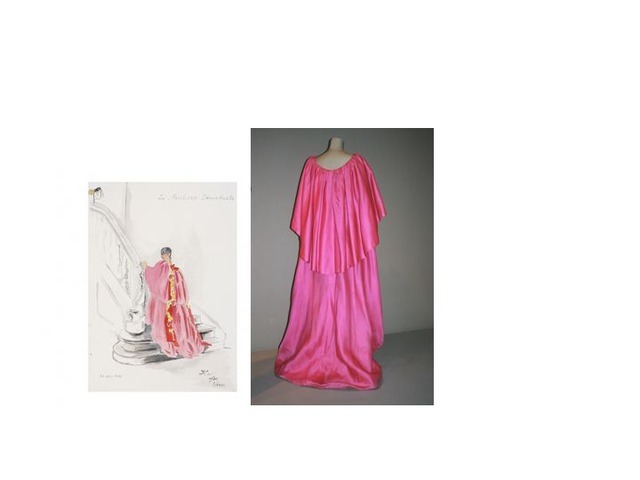 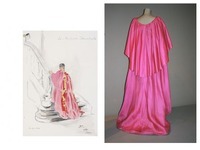 Objects, precious in museum terms, were recontextualised in the exhibition through styling – examples of Anna Piaggis early anachronistic dressing that has become the norm in fashion styling today. 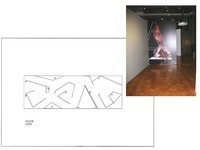 One question raised through the exhibition was: what relationship might curating have to Piaggi’s ‘anachronistic’ freedom? 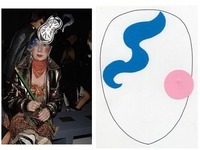 The exhibition showcased important previously unseen work by Karl Lagerfeld (paintings of Piaggi, acknowledging his creative debt to her) and illustrator Antonio Lopez showing the close collaboration between himself and Piaggi working on Vanity magazine in the early 1980s.